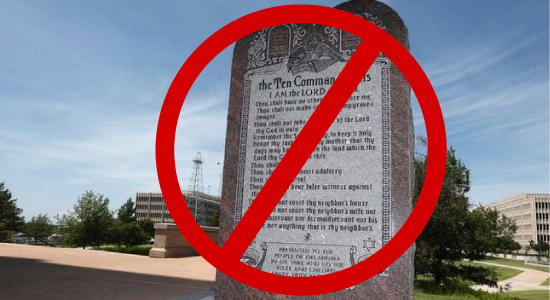 Good news everybody, the Oklahoma Supreme Court ordered the Ten Commandments monument must be removed from the state Capitol, saying it violates the Constitution, which bans using public property for the benefit of religion. Before the statue was installed in 2012 as a gift from Republican state lawmaker Mike Ritze and his family, legislators argued that it was not religious, but historic. Additionally, the U.S. Supreme Court found that a similar monument in Texas did not violate the establishment clause because it was intended to convey a historic and social meaning and did not constitute a religious endorsement. 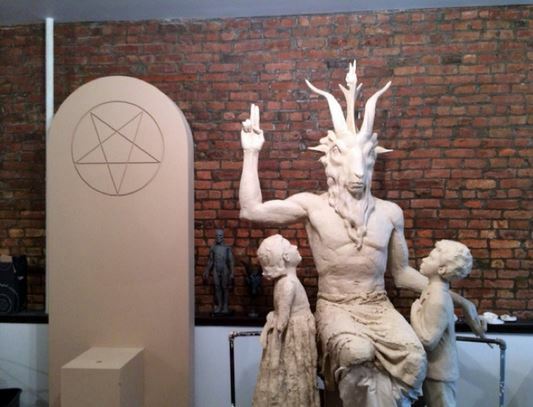 The 6-foot-tall monument’s installation prompted other groups, from the Church of the Flying Spaghetti Monster to Satanists, to try to get permission to build their own monuments on the grounds of the state Capitol to mark what they also characterize as historical events. Big thanks to all the Pastafarians in Oklahoma pushing for equality and the ACLU for doing the tedious work of fighting this case in court. Oklahoma Attorney General Scott Pruitt vowed to file a petition for a rehearing, saying that “the court completely ignored the profound historical impact of the Ten Commandments on the foundation of Western law,” according to local reports. It’s too bad that these guys are so bent on pushing religion. I feel like there must be something more beneficial to the public they could be spending their time on. But for today, I feel like we are making progress. Hey there, You’ve done a fantastic job. I will definitely digg it and in my opinion recommend to my friends. Pastafarian Hell contains sour beer and diseased strippers. That might just appeal to some people. What if one’s happy life on Earth was of diseased beer and zombie strippers, whereby, Pastafarian Hell was luxury? Bagi member yang ingin daftar pokeridnplay online gratis dapat menghubungi customer service kami.